Army specialist Alyssa Peterson was an Arabic speaking interrogator assigned to the prison at the Tal-afar airbase in far northwestern Iraq near the Syrian border. According to the Army's investigation into her death, obtained by a KNAU reporter through the Freedom of Information Act, Peterson objected to the interrogation techniques used on prisoners. She refused to participate after only two nights working in the unit known as the cage. Army spokespersons for her unit have refused to describe the interrogation techniques Alyssa objected to. They say all records of those techniques have now been destroyed. Instead she was assigned to the base gate, where she monitored Iraqi guards. She was sent to suicide prevention training. 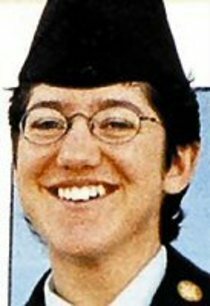 But on the night of September 15th, 2003, Army investigators concluded she shot and killed herself with her service rifle. A fuller account of this American heroine can be read here.